Preparing a single cup of iced tea. In warmer weather one of the things we offer in our Purcellville Tasting Room is iced tea in a variety of forms. With over 100 different teas to choose from we don’t want to limit guests to what we have prepared ahead of time or what’s on the nitro tea tap. So we also offer any tea, iced by the cup. And guests regularly ask how they can do the same thing at home. Making a single cup of iced tea is very easy. So if you are wanting a cup of iced tea but not in the mood for a full pitcher, here is how it’s done. 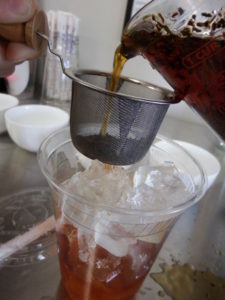 To make a 16 oz cup of iced tea we are effectively going to make a concentrated cup of hot tea and pour it over ice to rapidly cool and dilute it to the right strength. 1. Start by measuring out double the amount of tea you would use for an 8 oz cup into the glass measuring cup. For large leaf tea, this is 2 tablespoons and for small leaf this 2 teaspoons. 2. Get your water to the right temperature in your kettle and pour 1 cup (8 oz) of water into the measuring cup. Allow the tea to steep for the appropriate time. If you are unsure, just check the for the correct time here. 3. Fill your drinking glass with ice. The trick here is to know how much ice to fill based on the density of your ice. You may need to play a little bit, but generally you will fill the 16 oz glass half full with ice. 4. When time is up, pour the hot tea through the strainer onto the ice. You know you have the right amount of ice when most of it melts and just a few cubes remain. Hint on sugar: If you want sugar in your iced tea, add it to the hot tea while steep and stir. It will dissolve the sugar/honey quickly and the strainer will catch anything that doesn’t melt. This method works with all tea types and herbal/tisanes. Enjoy! The tea cozy (cosy in British English) is first documented in writing in 1867 in England, but is actually believed to have been around since the introduction of tea to England back in the late 1600’s. This handy device keeps your teapot warm. Given that afternoon tea became fashionable in the 1840’s, it is more likely they were in use sooner. Afternoon tea was a social affair, so conversation dominated and tea could quickly get cold. So, as the saying goes, necessity is the mother of invention. This humble device is built to allow you to pour and easily gain access to the lid to refill. Originally made of linen, they are now made of any washable material. Afternoon tea was popular in main stream culture during the Victorian Era, so the tea cozy became a highly embroidered cover and fashion statement for the teapot. If was fashionable during the Victorian Era to decorate just about every object in your house. The tea cozies of the time resembled something of a knitted hat that wrapped the teapot from the bottom up or a cover that draped over the pot and was removed every time you needed to pour. 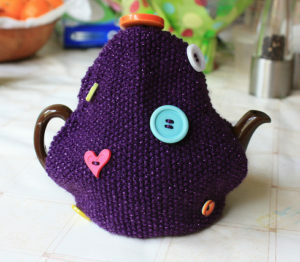 More recently, the tea cozy has become something of a fashion statement or artistic center piece for your tea party. They are a combination of knitting and sewing. If you think you want this, there are books on how to make some really unique tea cozies. Newspapers of mid 1800’s actually debated when it was appropriate to put the cozy on the teapot, before or after steeping. The concern was that the cozy would cause the water to be too hot to steep. This is actually a legitimate concern if you are steeping green tea, which would have been the dominant tea in the 1800’s. If you are steeping a black tea, hotter is better. Ultimately is seems to be a personal preference as long as you factor in water temperature. In closing, if you ever need to keep the teapot warm for long conversations, the tea cozy is not a bad addition to your tea accessories and you can make it yourself. Iced White Tea: Good or Bad Idea? Iced white tea is an oddly controversial topic for tea snobs. This beautifully delicate tea has a very loyal following, most of whom would turn their nose up on icing their favorite tea. Others are willing to be more flexible, stating that Bai Hao Silver Needle should never be iced while Bai Mou Dan is fine to ice. Well, we like to consider all perspectives and equip tea drinkers with the knowledge to play with their favorite beverage. Of course you can ice white tea. Will you like it iced is really the question. So here are 3 hints on how to approach making iced white tea. Humans are very bad at tasting cold food and beverages. Good quality unflavored white tea is very subtle with a light floral aroma, which is sometimes hard to detect when it is iced. If you want to try Bai Hao Silver Needle cold, we highly recommend the cold brew method. It does a much better job holding in the floral flavors than a traditional iced tea maker or brewing it warm and pouring it over ice. Flavored/Blended white teas are perfect for ice. The other ingredients, like freeze dried elderberries or star anise, are still detectable in cold tea. The iced white tea we like the best is Betsy Ross White. Watch your temperatures and cold brew your white tea! If you need to make a batch fast and do not have the 8-10 hours for cold brew, make sure to steep the white tea in water below 185°F. If you brew it above this temperature, it will be bitter as you will have burnt your tea. So play with white tea iced. 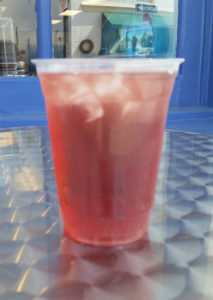 You may find you like this lighter alternative to our traditional black iced teas. Let us know about your favorite iced white tea in the comments! A field of mint plants. As we head into the holiday season, it is hard not to find a sweet or beverage that does not have mint. So let’s take a moment to learn a few things about the plant that creates this flavor and how it blends with tea. Human’s consumption of mint has been around a long time. Sprigs of dried peppermint were found in the pyramids of Ancient Egypt and carbon-dated back to 1000 B.C.E. The name mint comes from the Greek mythical nymph Minthe, who was a river nymph along the River Styx. Hades, the Greek God of the underworld, feel in love with Minthe. His wife, Persephone got jealous and turned her into the plant we know today. So that she would always be remembered, Hades gave the plant the ability to produce the aromatic oil we all know and use today. 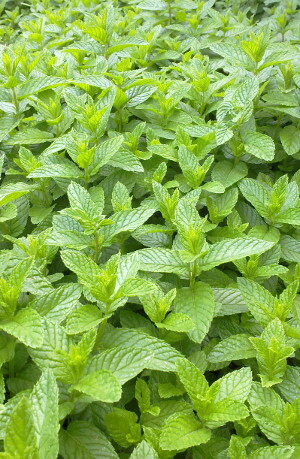 Mint is the first known addition to tea. Through the silk road, tea traveled from China into the Middle East and Northern Africa. It is here that it was blended with the tea to make a localized beverage. Moroccan Mint tea is the name commonly know today in Europe and the United States. However, it goes by the name Tuareg tea in the Middle East. Mint has a long list of uses for medicinal purposes. It is no mistake that there is mint toothpaste, mint mouthwash or mint flavored floss. Mint has been used for centuries to cure bad breath. It was also used to sooth an upset stomach and to relieve headaches (through the application of mint oil on the forehead). The United States is the largest grower of mint worldwide. Washington State is home to the most acreage with other Northwestern states like Idaho, not far behind. There is a push to grow it in the south, but it does require that nitrogen be added to the southern soil for it to grow properly and produce the expect amount of oil. There are over 71,000 acres of mint currently growing in the United States. The majority of the mint grown is used to produce mint oil, which is used to flavor all sorts of items that humans consume. Mint can be steeped alone as its own tisane. If you happen to grow your own, just pluck a few leaves and steep in boiling water for 7 minutes. It will be a minty mouthful. If your mint is not very minty, see the note before about your soil content. Mint needs nitrogen and a dormant period to really produce a strong oil. Yak dressed up in Tibet. Here are 3 additions to tea to keep your eyes open for when traveling aboard or here at home at your favorite foreign cuisine restaurant. These are not the sugar, cream or ice that Americans know and love. 1. 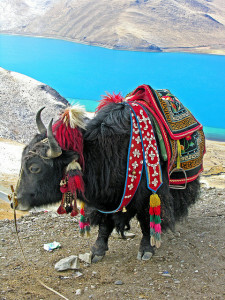 Yak Butter. This Tibetan addition to tea cannot be duplicated here in the US as yak milk and butter are not to be found in your local grocery store. The closest we can get is using water buffalo milk to make buffalo butter to match this beverage. There are a few water buffalo dairies in the U.S., so if you are ever in Ithaca, New York or Canon City, Colorado, you might want to have a look. Yak milk and buffalo milk have about twice the amount of fat as cows milk, so the butter is more like what American’s think of as soft cheese in consistency. To make yak butter tea, a black tea is steeped several hours and then strained off. Butter and salt are added and the mixture is whipped or churned until the butter melts. It is then left over low heat to keep it warm. When finished drinking, a dash of roasted barley flour is added to the bottom of the cup and rolled into a ball to absorb the last bits of tea and butter and then eaten. 2. Salt. Pakistan has a version of salt tea called Kashmiri Chai. Mongolia has a version called Suutei tsai. Both use a green tea base, milk and salt. The trick to the salt is getting just the right amount. Too much salt and that is all you will taste. The tea is brewed in water and then the milk and salt are added and warmed enough not to have the temperature drop. Both versions typically have the tea steeping for about 10 minutes. 3. Toasted Rice. Any fan of Japanese green tea will recognize this addition. Genmaicha is toasted rice and green tea (Sencha). Unlike our first two additions which are added after brewing, the toasted rice is brewed with the tea and it gives the tea a smooth popcorn smell and flavor. This one is easy to get here in the states, and worth trying at least once to see how it changes the flavor of Sencha. While these additions are definitely outside the typical American experience with tea, as true tea connoisseur, you are honoring your favorite beverage by experiencing it through the cultures that have consumed tea longer than the U.S. has been in existence.